Purchase your ticket to the 2016 Video Blitz! Doors open at 6pm with free pizza and Melvin beer; a silent auction with items from Stio, Patagonia, a full Grand Targhee pass, and more; and 10 raffle items donated by our 10 local candidates for Mayer, Town Council, and County Commission. Your audience vote will award one local visionary a $6,000 grant. To celebrate our tenth anniversary, 1%T will use our annual Video Blitz to celebrate Yesterday, Today, and Tomorrow. We’ll look back at Yesterday by highlighting some of the challenges and opportunities facing the region in 2006 that, thanks to grants awarded by 1%T, have been successfully addressed and embraced. We’ll focus on Today by spotlighting 1%T’s 2016 grants. And we’ll look ahead to Tomorrow by asking five regional leaders to share their vision of a current challenge or opportunity that, with a combination of passion, energy, and a bit of money, can be celebrated as a success ten years from now. "We started the Video Blitz with the hope of connecting filmmakers, businesses and activists by shining light on the incredible work non-profits are doing with funding from 1% for the Tetons to make our local community a better place to live." 7:00pm: Updates from Yesterday – Learn about three regional challenges that, because of support from 1% for the Tetons, have been successfully addressed. 7:45pm: Spotlight films on Today – We’ve paired up three local filmmakers and three of our 2016 1% for the Tetons Grantees for a mini-video blitz. These filmmakers were given one week to complete a three-minute film, which will premier and be voted on by our local Candidates for a chance to win $1,000. 8:15pm: Looking towards Tomorrow – Five local leaders will share their vision of a challenge they would like to see addressed over the next ten years. The audience will vote on their favorite and one visionary will receive a $6,000 grant to turn that idea into reality. "The Video Blitz brought our connection to the Jackson community up to a whole different level!"  1% for the Tetons works to promote the videos through our channels, and through influential people and companies, including Patagonia, Travis Rice, Jeremy Jones, and Jimmy Chin. A limited number of sponsorship opportunities are available to businesses each year for the Video Blitz. Please contact us at info@1percenttetons.org for more information.